We are pleased to announce that Costa’s Sundance-Award-Winning film Jungle Fish is now available for free viewing. 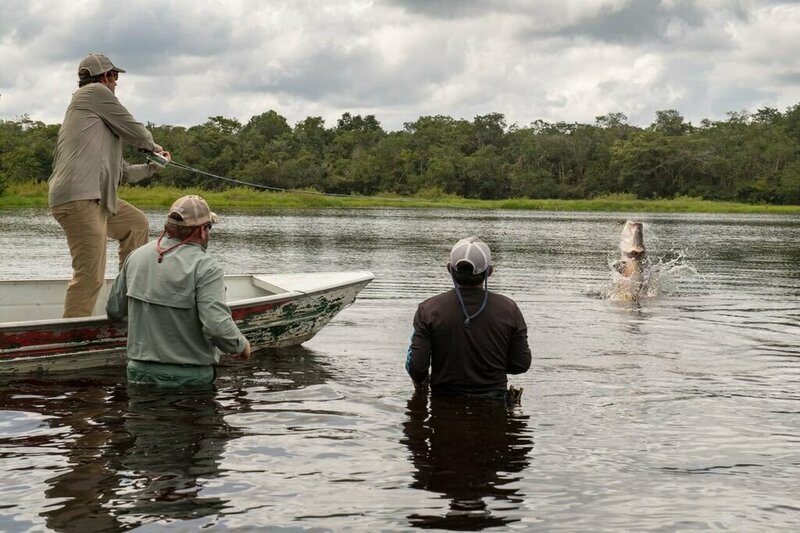 ​Watch as a group of anglers attempt to catch an arapaima on a fly for the first time in the jungles of the small South American country of Guyana. 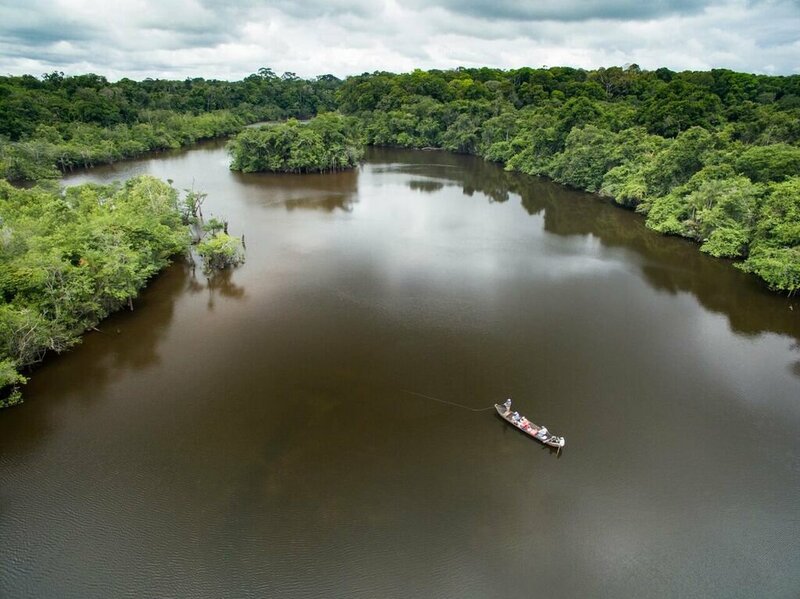 If they succeed, the resulting opportunity to host fisherman can save this remote village’s way of life and protect the surrounding pristine rainforest, not to mention this ancient fish. 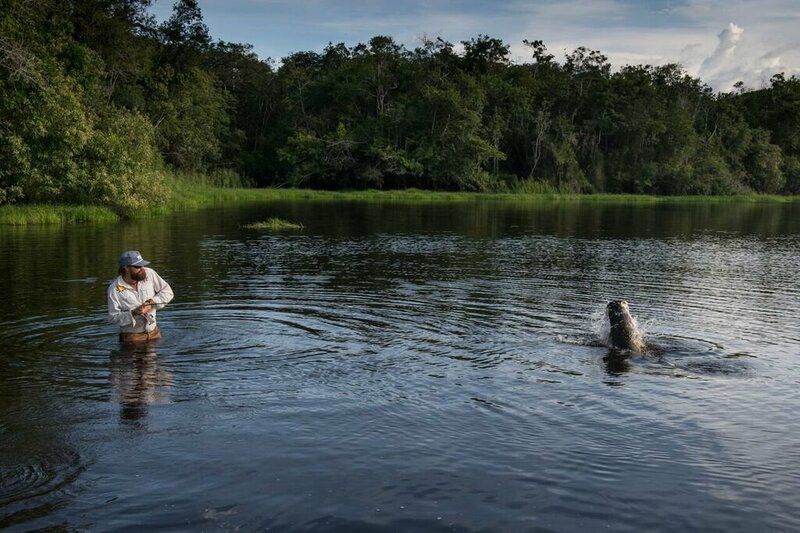 Jungle Fish not only found critical acclaim from the prestigious Sundance Film Festival, it propelled a movement to work with indigenous people to help them create a sustainable livelihood through fly fishing while learning to protect the pristine environments the fish need to live. Other Indifly projects have sprung up around the globe. CLICK HERE TO WATCH THE FILM NOW! For more information and the best glasses around click the Costa logo below. We had the pleasure of guiding four consecutive days on the McCloud River with our friends from Cal Trout. We had beautiful conditions with the fringes of fall starting to show and settle in. Wet wading season is over on this river until next year. The october caddis are starting to make appearances and the browns are headed up river to the spawning grounds. Take a minute to watch the clips from the McCloud River but also take a moment and look at CalTrout and learn how you can join in on the fun! Here is one of the many questions that come up while guiding clients on the river. Why don’t rivers run straight, why do they bend? So what causes a river to bend in the first place? In a nutshell, all it takes is a little disturbance from a plethora of variables and a whole heck of a lot of time. We can write a bunch pages and give plenty of reasons but this short three minute animation encapsulates the basics and gives some concrete and easily understood facts on why rivers bend. 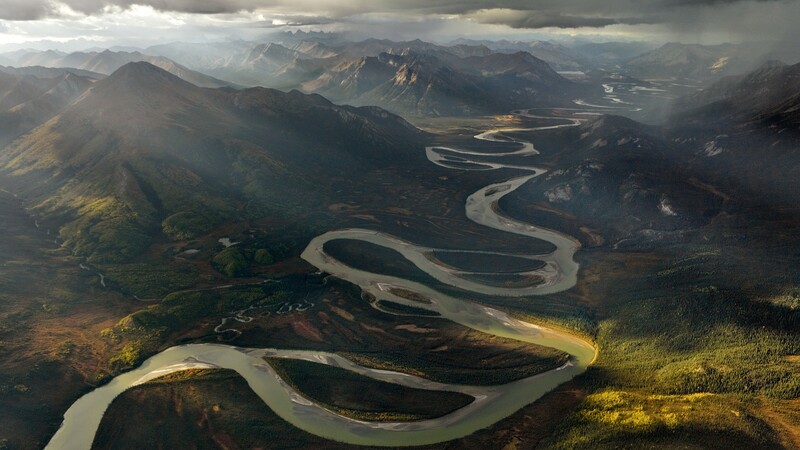 Below: A classic example of river meandering through the valley and around mountains. 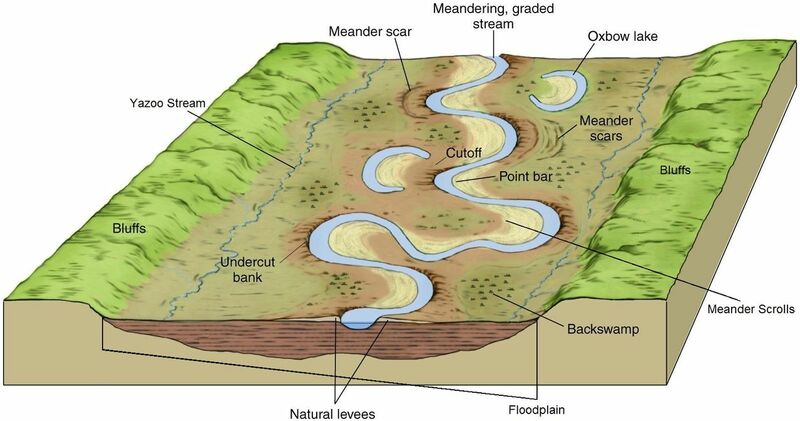 Below: Diagram of a meandering river and associated landforms. Have you ever wanted to help out and work together with others who are interested in keeping our rivers clean and pristine? Now is your chance. Can you spare 3 hours this next Sunday? With the creation of a new Trout Unlimited Chapter in Redding the process has started uniting the people in the community and surrounding areas to help protect and preserve our watersheds here in Northern California. Whether you love fishing or just enjoy walking the edges of the river, this event is for you. Bring your boat if you have one or we will have transportation for you. We will split up into groups that will either walk the river trail or float down the river and pick up trash on the way. Please bring a water bottle and gloves if you have them. Trash bags, water, and cleanup gear will be provided. Please help spread this information to anybody you know who might be interested in helping. Thank You! 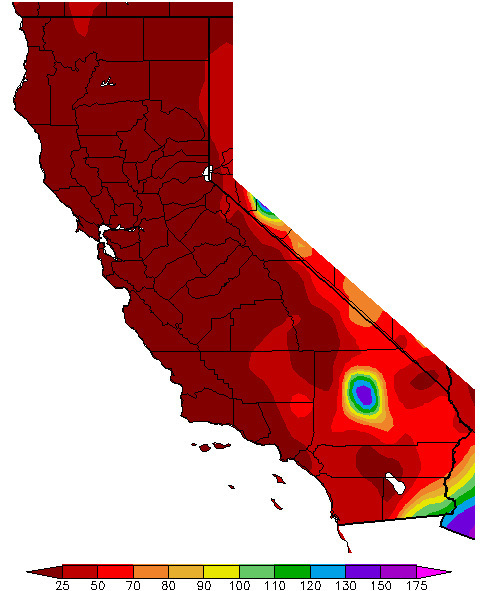 The 2013 calendar year was without question the driest on record for most of California. There is very little to no snow pack in the Sierra Nevada range or Trinity Mountains, and the forecast for the extended January period is dry with a high pressure dominating the sky. Yes, we are in a drought. But we still have three months of possible wet weather remaining so anything is possible, we could be begging for it to stop a month from now. There is a chance 2014 will not become a drought year but it’s not looking good up to this point. Thanks to political campaigns by the state’s governor drought or no drought, after last Friday Californian’s have something much more to be concerned about. On Friday morning an emergency drought declaration was signed by Governor Brown at a press event in San Francisco. California’s foremost environmental law no longer protects wildlife or the environment from the effects of the state’s response to the drought. This could mean more than just cutting back on watering the lawn and flushing the toilet for fisherman across the state but also stifle the health of our already struggling ecosystems. We are on the water daily as fly fishing guides based out of Redding, CA. Our business (catch and release only) requires not just clean water but clean practices. It’s not about our jobs and providing income, it’s about protecting what we have. Even in a drought scenario there are laws in place to protect resources for future generations, not just a term in a political office. Our wild salmon and steelhead runs having been hanging on by a thread and Governor Brown’s clandestine agenda’s may finally unravel and shred the last one. This is also the guy that wants to dig a billion dollar tunnel to ship water from the California’s central valley’s system into Southern California. As a fly fishing guide in Northern California working on the Sacramento River system I am worried not about what a drought might do to our natural resources but rather what politics might unleash in wake of a completely natural event that often occurs when you live in a desert. What do you think? Did you know what Jerry Brown meant when he declared a drought? I didn’t. 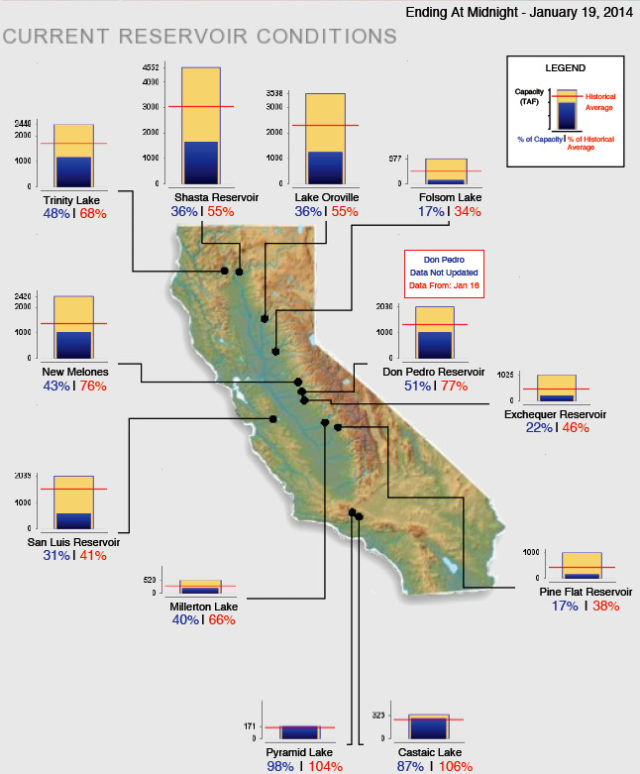 CA water storage and what it means to anglers.